Daily Mail’s U.S. editor-at-large Piers Morgan talks Donald Trump and why Hillary Clinton should be worried. He was mocked and laughed at for being an early supporter of Donald Trump for presidency, but that didn’t change his mind. “The very day he threw his hat in the ring last summer, I wrote a column saying, ‘Do not underestimate Donald Trump.’ I’ve known him for 10 years and he’s a good friend of mine. 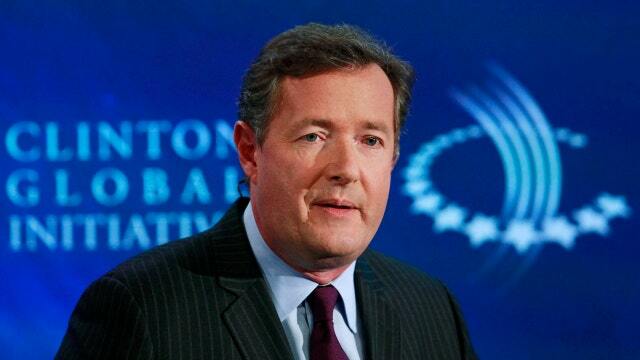 He will not be in this to lose,” Piers Morgan, Daily Mail’s U.S. editor-at-large, tells FOXBusiness.com. Morgan, a longtime journalist and former CNN anchor of “Piers Morgan Tonight” now writes opinion columns for the British tabloid news site Dailymail.com, which boasts traffic of 240 million unique users a month worldwide. In 2008, Morgan competed in, and won, the first season of NBC’s The Celebrity Apprentice, where his friendship started with the presumptive GOP presidential nominee. “This is a man who’s made billions of dollars closing deals. And right now, he’s closing the nomination and the same people who told me that he wouldn’t last two weeks and that he would never win the nomination, are now informing me he absolutely categorically cannot beat Hillary Clinton. Well, forgive me if I’m a little skeptical of these experts,” he adds. However, he doesn’t support everything the Donald says. “Your demand for all Muslims to be banned from America is so completely, utterly and dangerously wrong that I can’t just sit back and say nothing,” Morgan wrote at the time. And it’s not the first time they’ve disagreed, either. Morgan has been relentless about his views on gun control since his time at CNN; while Trump opposes any form of gun control and any expansion of the national background check system. Despite their differences, the former America’s Got Talent judge says he admires and supports Trump all the way. “Donald Trump is the most unpredictable, extraordinary, entertaining and massively popular candidate this country has ever seen,” he said.